Janis Klein-Young envisions a change of venue for ArtSouth. 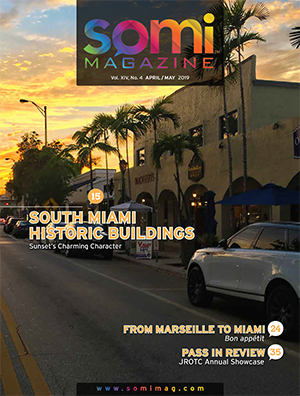 That venue is much larger and sits right across SW 68th Street from their current location in the City of South Miami’s Mobley Building. Expanding space would allow the non-profit arts organization to increase programming and to serve a larger audience of children. The mission of ArtSouth is to more effectively fill the gap in public school art education by providing necessary arts education for children living in underserved environments. ArtSouth works to improve the lives of such children by making available no-cost arts education complete with free instruction and supplies. ArtSouth director Janice Klein-Young (above) and Alex Cedano (b elow), a graduate of the ArtSouth program speak to the group. 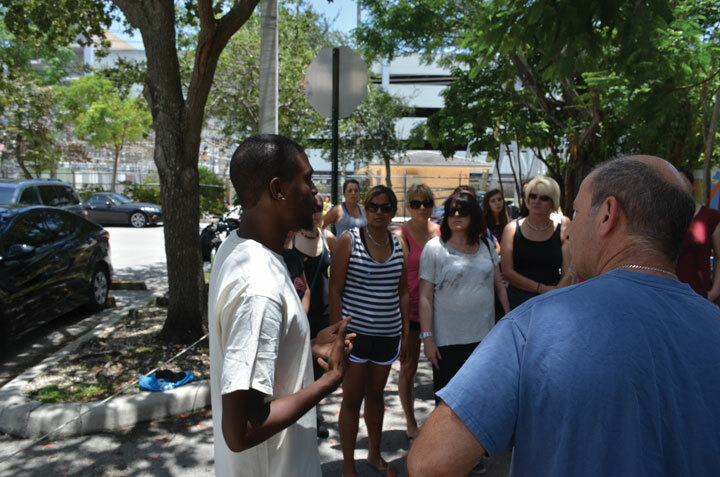 ArtSouth relocated to South Miami in late 2013 when the then 13 year-old organization’s building in Homestead was sold. 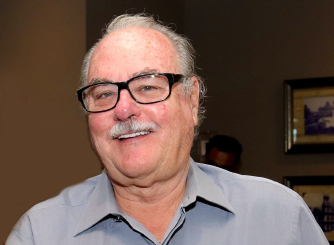 “We were essentially homeless, and Mayor Stoddard offered us space in the Mobley Building. They were the only entity that came to our rescue,” said Klein-Young. The #iwill campaign is UK-wide and aimed at making involvement in volunteering (aka social action) part of life for more 10-20 year olds. The business, education, non-government and public sector representatives pictured are from UK organizations that are supporting this call to action. 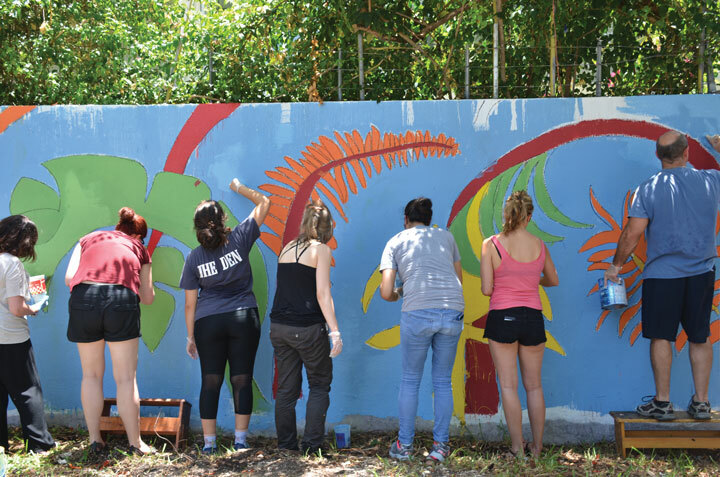 Completing the ArtSOUTH mural gave them an opportunity to work side-by-side with young people in their South Miami community and understand what motivates them to volunteer. HRH The Prince of Wales, is Patron of Step Up To Serve and the #iwill campaign. Children in under-served communities benefit from ArtSouth programs such as Arts Beyond the Classroom (ABC). ABC provides county-wide yearlong programs and service-learning experiences for hundreds of grade school students in the visual and performing arts during the school day, after school and on weekends. A comprehensive arts enrichment program, ABC takes place at the Mount Olive Baptist Church, Chapman Partnership for the Homeless, Gibson-Bethel Community Center, and at ArtSouth’s main campus. The partnering venues offer four classroom/studio spaces, an exhibition gallery, gift shop, computer lab, clay workroom, music and dance studio, and permanent collection space. The program is made possible by a two-year, $20,000 capacity-building grant from The Children’s Trust. ArtSouth’s artists-as-teachers and professionals in the field provide afterschool, summer camp, no-school holiday and weekend workshops, field trips, and year-round classes for children ages 4-17. ABC provides a nurturing, safe learning environment during non-school hours for families that live within South Miami’s surrounding Neighborhood Revitalization Strategy Area (NRSA), in homeless shelters and programs for children with disabilities. 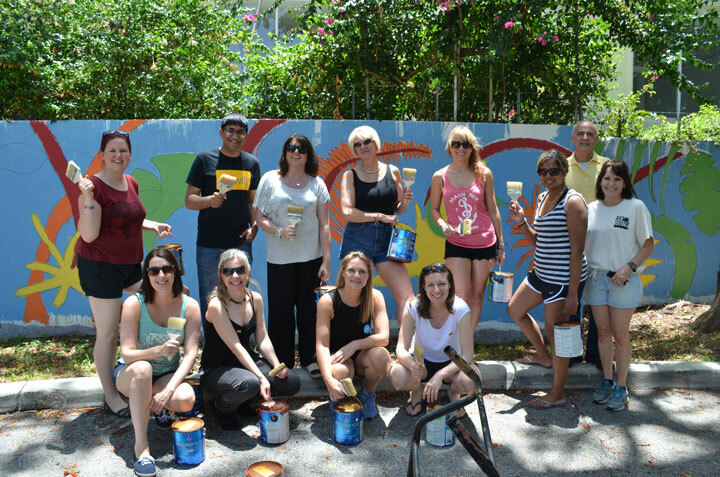 ArtSouth spearheaded two colorful “all hands on deck” public mural projects at the Aquatic Center (2014) and at Bethel-Gibson Park (2016). 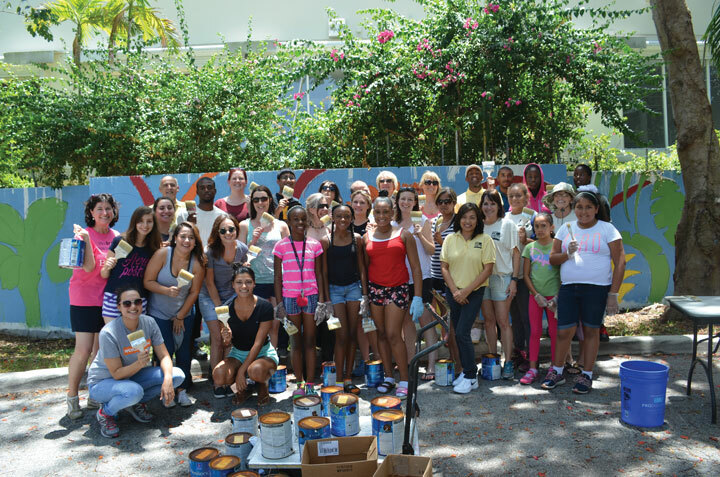 The first mural revived and refreshed an existing mural under the leadership of artist Gail Alexander, a volunteer crew of young students, and Baptist Health South Florida employees. 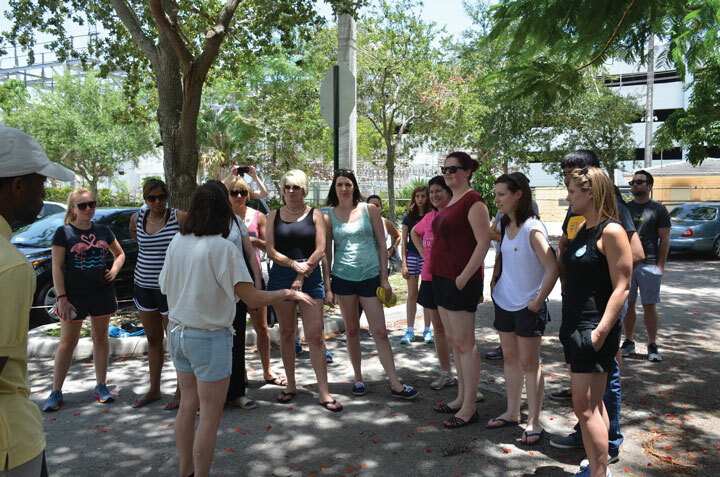 The Park mural brought together Miami Dade College, Global Ties Miami, and dignitaries from the United Kingdom. 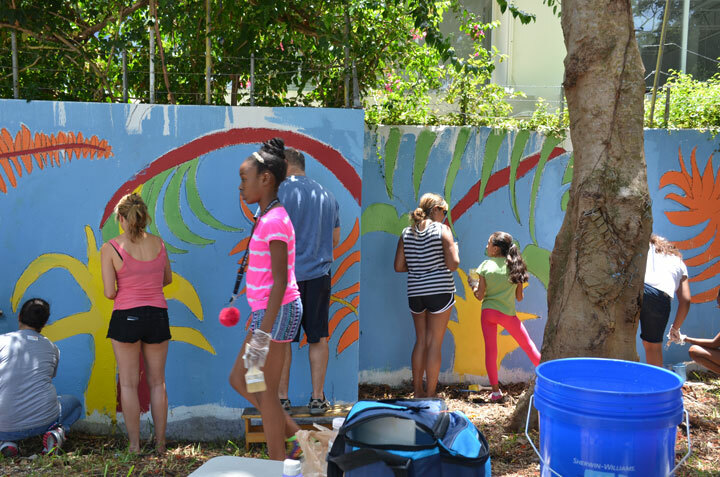 Additional contributors to the artwork were South Miami youth, local artists, and other community leaders. Visit ArtSouth’s webpage for more information about children’s programming and summer camps, as well as art programs for adults at infor@artsouthmiami.org. ArtSouth is located at 5825 SW 68th Street, Suite 2, Office 202. 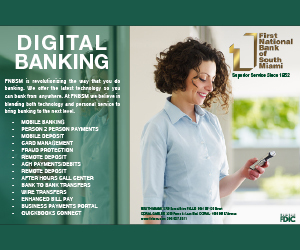 FMI: 305-662-1423.